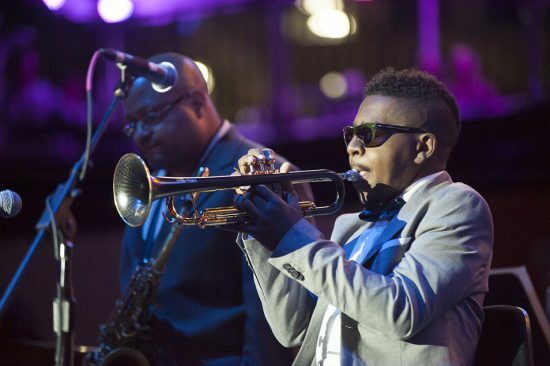 If you’re not able to attend the Roy Hargrove Musical Celebration in New York on Tuesday, Jan. 8, take heart. Jazz at Lincoln Center announced today that the event will stream live in high-definition audio and video for free to a global audience. The concert, which will take place in Rose Theater at Jazz at Lincoln Center’s Frederick P. Rose Hall at 7 p.m. ET, will stream via jazz.org/live. The celebration will be open to the public and the general seating area will become available on a first-come, first-served basis. Seating in Rose Theater is limited, and Jazz at Lincoln Center reserves the right to close admission based on capacity. Additional seating will be available for simulcast viewing in Jazz at Lincoln Center’s Mica and Ahmet Ertegun Atrium and Ertegun Jazz Hall of Fame.